She’s following her heart. He’s looking for redemption. Can they beat a bad rap and slide home safe? Chloe Barlow has always wanted to give back. But when she volunteers at the local church one night, her good deed is repaid with a violent attack. The biggest surprise comes when Armitage’s resident bad boy saves Chloe and leaves a sweet note in her locker the following day. Could Chloe’s classmates have been wrong about him the whole time? The first book in a trilogy about three “brothers” and the girls they must protect. What she got was a one-way ticket to her personal nightmare. 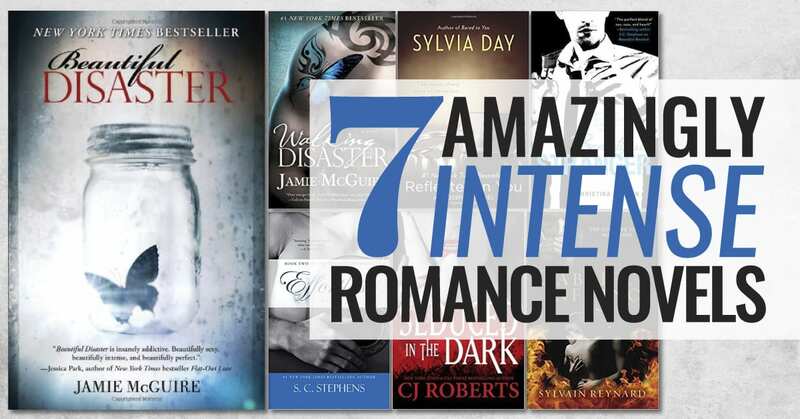 But then she meets the guys next door—the smoking-hot ones. And it doesn’t help that one in particular could unravel her in a heartbeat…and potentially blow her cover. 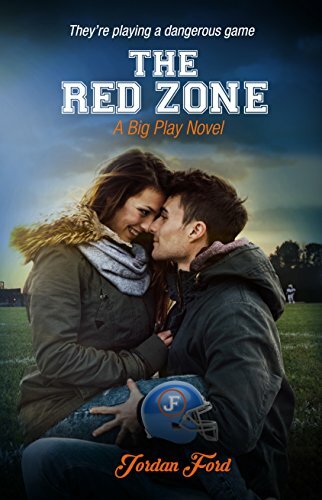 How’s she supposed to resist Trey Calloway, the star hockey player who never backs down from a fight…and who never takes no for an answer? 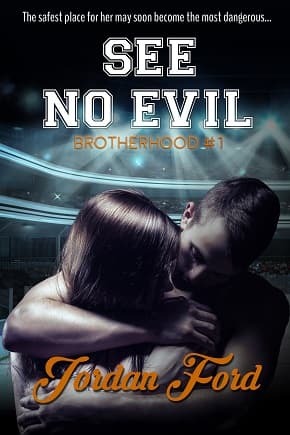 If you’re looking for a fast paced thrill ride packed with drama, suspense, romance and unexpected twists, then See No Evil is just the book for you. The second book in a trilogy about three “brothers” and the girls they must protect. Kade Kingsley is sick of hiding out in the middle of nowhere. He should be having a good time, partying and living it up, not playing bodyguard to his best friend’s runaway witness girlfriend. When he decides to leave the mountainside he’s called home for the last two months, he promises to be careful. He knows the stakes are high, and he knows that the makeshift family he’s leaving behind is counting on him to come back. What he doesn’t count on is getting mugged and left for dead. And he definitely doesn’t count on being rescued by a girl with secrets of her own…secrets that rival his. As Julienne Bishop, a down-on-her-luck girl hiding from an abusive ex-boyfriend, nurses Kade back to health, an uneasy bond forms between them. They need each other, even if they don’t realize it, and even if they have a hard time accepting it. Because danger is coming at them from both sides, and they must figure out if they can trust each other. 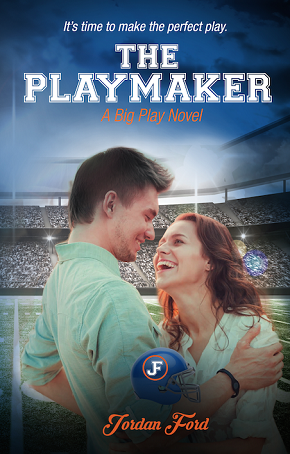 The second book in a young adult romance series about a small town football team and the girls who win their hearts. About the Author: Jordan Ford is a New Zealand author who has spent her life traveling with her family, attending international schools, and growing up in a variety of cultures. Although it was sometimes hard shifting between schools and lifestyles, she doesn’t regret it for a moment. Her experiences have enriched her life and given her amazing insights into the human race. She believes that everyone has a back story…and that story is fundamental in how people cope and react to life around them. Telling stories that are filled with heart-felt emotion and realistic characters is an absolute passion of Jordan’s. Since her earliest memories, she has been making up tales to entertain herself. It wasn’t until she reached her teen years that she first considered writing one. A computer failure and lost files put a major glitch in her journey, and it took until she graduated university with a teaching degree before she took up the dream once more. Since then, she hasn’t been able to stop.